1. In a food processor, add garlic and mince. If you love garlic, don’t be afraid to add more than 1 or 2 cloves! We usually do! 2. Once minced, drain chick peas in water and add to processor with tahini. Start processor. 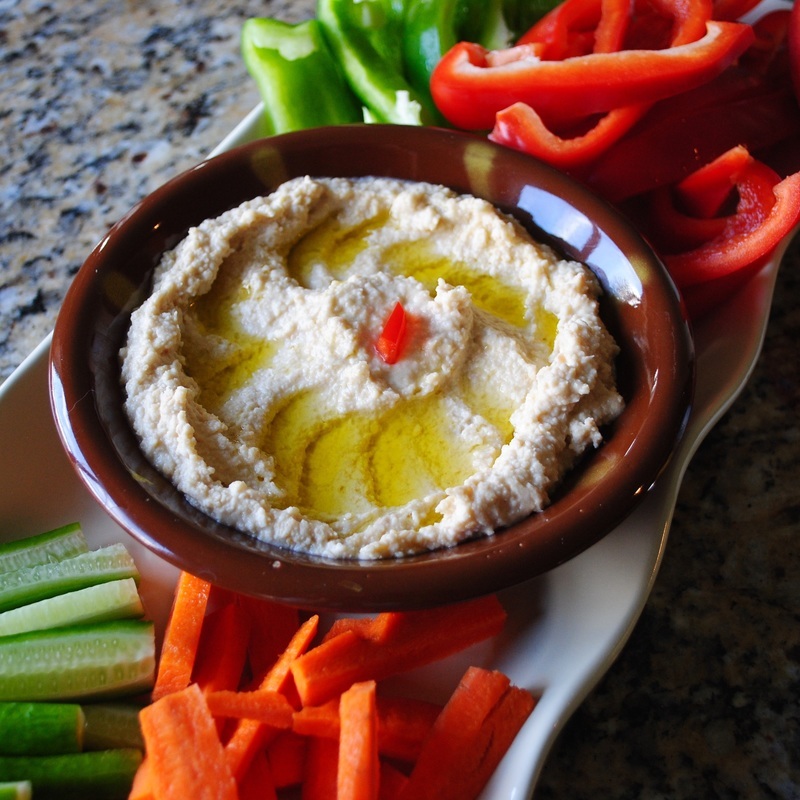 *To keep hummus smooth, you may want to add some water to your mixture while processing. We love our hummus to be lemony, so we just add more lemon juice and that usually keeps it smooth without adding any water. It’s your preference! 3. Add lemon juice, salt, and pepper to taste.